Worms and caterpillars can, at first glance, look similar to each other. They are small and wriggly. However, worms and caterpillars are entirely different animals. The two can also be confused by everyday naming, in which caterpillars are often called worms. There are several clues to help you identify whether an animal is a worm or a caterpillar. Worms and caterpillars are entirely different animals. They can be identified by their appearance and their body parts, or lack thereof. Is a Caterpillar a Worm? Caterpillars are not worms, although they are cold-blooded like worms. Caterpillars belong to the second largest order of insects, called Lepidoptera. These insects are butterflies and moths. There are over 160,000 types of butterflies and moths! The stages of development for members of Lepidoptera include egg, larva, pupa and adult. Caterpillars are the larvae of moths or butterflies. Most caterpillars are herbivores, meaning that they only eat plants. There are a few caterpillars that are carnivorous and eat other creatures. Caterpillars may eat leaves, or they can eat stems and roots, and they can cause a great deal of damage to crops and trees in forests. One notable pest caterpillar that plagues much of eastern North America is the tent caterpillar, which spins webs in trees and other plants. Some types of caterpillars like to bore into fruits and vegetables, while others like to eat fabric. Of course, this behavior is not welcome to farmers or anyone who has clothing. But generally, after caterpillars become adult butterflies and moths, many become more beneficial animals. 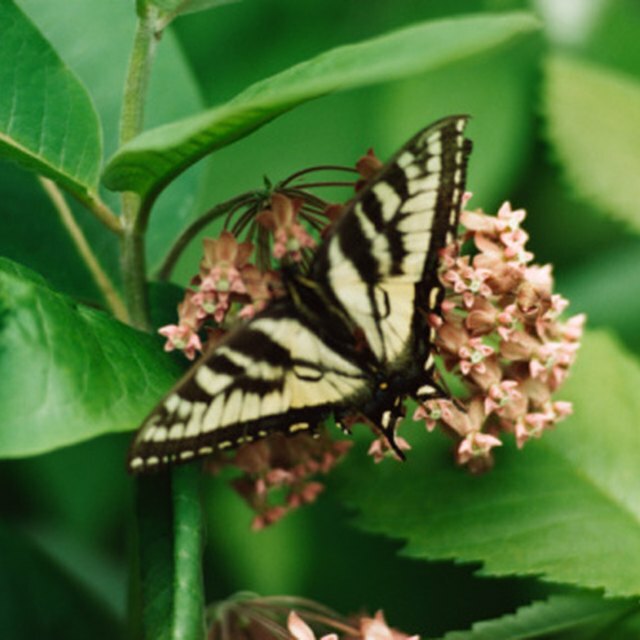 Moths and caterpillars help to pollinate several native plant species. Many caterpillars have “worm” as a nickname, such as inchworm, cabbageworm, hornworm and woolly worm, among many others. This adds to the confusion. Fortunately, there are ways to identify caterpillars that set them apart from worms. Caterpillars are the larval stage of moths and butterflies. They can be distinguished from other insect larvae by looking at their body parts. On a caterpillar, three pairs of “true” legs extend off of each segment of its thorax. The first two segments of a caterpillar’s legs do not ever have prolegs, which are little, fleshy, leg-like parts, but those can be found on other segments. Caterpillars may have as many as eight pairs of theses prolegs. Caterpillars have a true head and mouthparts that can chew. After caterpillars emerge from their pupae/chrysalis as either butterflies or moths, most of the adult insects do not have these mouthparts. Instead, they may have what is called a proboscis, which is a tube-like appendage that can sip nectar from flowers. Different Lepidoptera caterpillar species vary widely in appearance. Caterpillars often rely on their appearance to survive and proceed to the pupa and adult stages of their lives. Otherwise they would be more tempting to potential predators like birds and other animals. Of course, some caterpillars are simply good at hiding from predators. They may hide under leaves or become active after dark. And some of them actually bear camouflage to hide. Caterpillars like loopers resemble twigs, while others use actual plant and flower bits to attach to their bodies. Some caterpillars even look like bird poop, and birds probably will not want to eat those! Another smart tactic caterpillars use is warning signs. Have you ever seen the bright, showy stripes of a Monarch caterpillar? Those yellow and black stripes are basically telling you and other animals to stay away. Eating one would be highly toxic for any animal. You'll also find non-toxic caterpillars that mimic the toxic ones. Others may not look toxic, but you should still not touch them. These include woolly worms, or woolly bears, famous for their fuzzy, long, black and brown hairs. Tussock moth caterpillars also have hair on their bodies. One ingenious trick some caterpillars have is markings that look like eyes of a larger animal. These are just a few of the many ways caterpillars try to survive to adulthood, making them fascinating animals to study. Eventually, after several molts, caterpillars will enter their pupa or chrysalis stage. This pupa attaches to the leaf of whatever plant the caterpillar prefers to eat, or another safe area such as leaf litter or even underground. Eventually, a new butterfly or moth emerges. Considering how striking some butterflies and moths become as adults, there is a never-ending reward for observing animals in Lepidoptera. Is a Worm an Insect? No, worms are not insects. Worms are another kind of invertebrate, and they are not as complex in form as caterpillars. They remain in their worm shape rather than transforming into an insect. There are a number of ways to begin with worm identification. Worm identification involves learning what kinds of worms there are in the world in general, and then studying those where you live. Earthworms, for example, live in moist areas where there is plenty of food and temperatures are moderate. Worms do not have legs, arms or true eyes. They can, however, sense light. You will notice that worms tend not to like to stay in a bright environment, preferring to stay underground where they are safer. Since worms have no legs or arms, they rely on muscles that are either long or circular to get around. One interesting aspect of worm identification is observing that worms can replace or reform parts of their bodies. Several types of worms exist in the world, ranging from the simplest worms like flatworms, to nematodes, to the familiar earthworms you might find in your yard or on sidewalks after rain. Tapeworms are a kind of parasitic flatworm. Other flatworms live in symbiosis with shellfish in the sea. Roundworms are mostly known for their parasitic tendencies, such as heartworms, hookworms and pinworms. There are even tubeworms that live on rocks in the ocean, and do not move, but rather wait for food to land on their tentacles. Worms do not have the more complex chewing apparatus of caterpillars. Some do, however, have little teeth and jaw-like mouths. Among earthworms, also called annelids, there are three ecological groups. You can observe worms from these groups to aid worm identification. Earthworms that prefer to live and eat at the surface are epigeic earthworms. They tend to range from 1 to 7 centimeters long and are reddish-brown. They have darker skin on their backs, probably to protect them from sunlight. Millions of earthworms can live in an acre of land. Those earthworms that favor living in mineral soil are endogeic earthworms. They lack skin pigmentation, so they are paler, and some of them are bluish, yellow, pink or white. These earthworms like to eat mineral soil for its micro-organisms. You may find them under rocks and logs, or they may emerge after rainfall. These worms tend to range from 2 to 12 centimeters long. A third type of earthworm is the kind that likes to burrow deep underground; these are anecic earthworms. They can grow to a fairly large size, as long as 15 centimeters, and are red-brown in color. These worms can eat a great deal off of a forest floor. While they are quite different from each other, there are at least three similarities between earthworms and tapeworms. They both have muscular systems. They both have a mesoderm. And another of the three similarities between earthworms and tapeworms is that they possess a central nervous system. While a number of caterpillar and worm types work as pests or parasites, many do provide benefit to the environment. Caterpillars become butterflies and moths that can pollinate plants, which then can produce fruits and seeds for people and animals to consume. Caterpillars are also essential for pollinating native species. 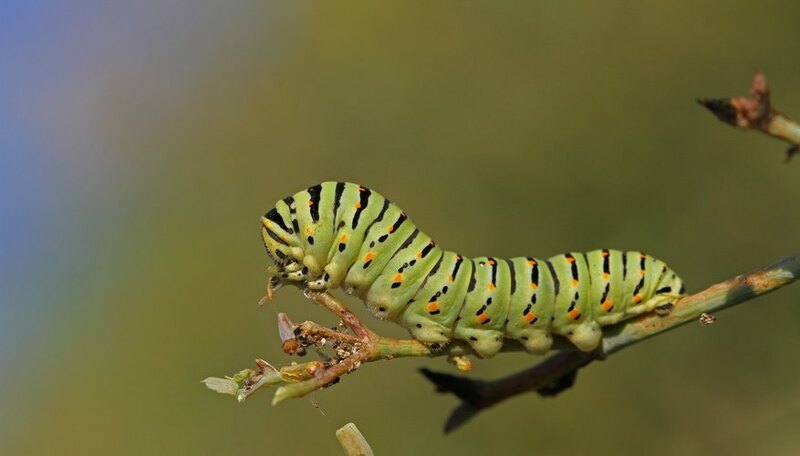 It is crucial to provide native plants for caterpillars because they are choosy animals, and invasive or introduced plants are often not favored. Some worms greatly benefit the environment, not just as food for other animals, but for their earth-turning and composting abilities. Dianne, J.. "How to Identify Worms & Caterpillars." Sciencing, https://sciencing.com/identify-worms-caterpillars-8633287.html. 06 November 2018.